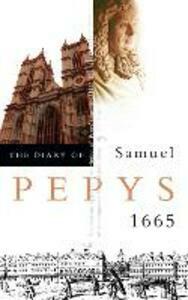 The sixth volume of the complete Diary of Samuel Pepys in its most authoritative and acclaimed edition. This complete edition of the Diary of Samuel Pepys comprises eleven volumes - nine volumes of text and footnotes (with an introduction of 120 pages in Volume I), a tenth volume of commentary (The Companion) and an eleventh volume of Index. Each of the first eight volumes contains one whole calendar year of the diary, from January to December. The ninth volume runs from January 1668 to May 1669. The Diary was first published in abbreviated form in 1825. A succession of new editions, re-issues and selections, published in the Victorian ear, made the diary one of the best-known books, and Pepys one of the best-known figures, of English history. But in none of these versions - not even in the Wheatley, which for long stood as the standard edition - was there a reliable, still less a full text, and in none of them was there a commentary with any claim to completeness. This edition was in preparation for many years, and remains the first in which the entire diary is printed and in which an attempt has been made at systematic comment on it. The primary aim of the principal editors was to see that the diary was presented in a manner suitable to the historical and literary importance of its contents. At the same time they had in mind the interests of the wide public of English-speaking people to whom the diarist himself, rather than the importance of what he wrote, is what matters.